These award winning homes are built solid; including Low-E windows, whole house wrap and so much more. Included features include 30 year architectural shingles, expansive foyers, beautiful birch cabinetry and luxury baths. Plus, Admar welcomes plan and design changes. Nearby you'll find great public schools - Paramount Elementary, North Middle and North High School. Extensive shopping is just a few miles away. Easy access to I-81 and I-70 makes commuting easier. 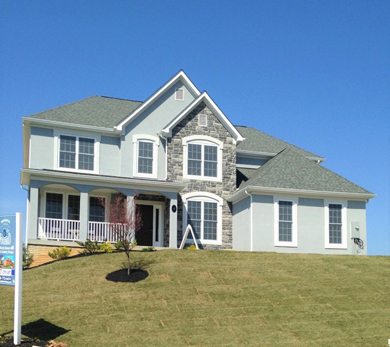 Fountain Head Manor... Hagerstown's best value for quality custom built homes. This brand-new golf community offers true custom homes, where Admar welcomes plan and design changes. These spacious new innovative designs stretch up to 70' wide and some plans offer 3 1/2 baths as standard. 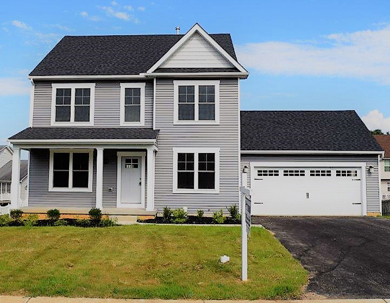 Your family will love the recreational opportunities like golf and skiing just minutes away, while living within the Greencastle-Antrim school district. Best of all Greencastle Greens golf community combines the small-town flavor of rural living with the convenience of being only 10 minutes from Hagerstown. Our newest affordable single family community, Liberty Landing offers fantastic views in a rural setting with Admar's high standards of construction and NO HOA fees!! The Village at Freedom Hills, is an affordable active - adult community for those 55 years and better. From the exterior appearance, to the interior floorplan designs, these Villa Homes are exceptional. Admar's included features will surprise you. Best of all, the location is only 2 miles from shopping and easy highway access, with the YMCA also nearby. The area boasts a hearty selection of both fine and casual dining. History buffs can visit nearby Antietam and Gettysburg battlefields. The Village at Freedom Hills starting in the low $200’s ...convenient to so much!